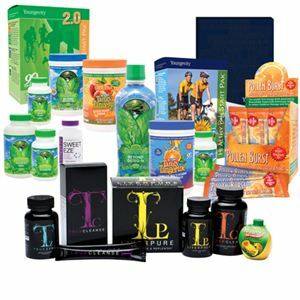 San Diego, CA – August 4, 2014 – Youngevity International, Inc. (OTCQX: YGYI) (www.YGYI.com), a global direct marketer of nutritional and lifestyle products and also a vertically-integrated producer of gourmet coffees for the commercial, retail and direct sales channels, announced today that it entered into a Note Purchase Agreement (the “Purchase Agreement”) with accredited investors, pursuant to which the Company issued $4.35 million aggregate principal amount of Secured Convertible Notes (the “Notes”) and Warrants to purchase up to 11,185,714 shares of its common stock (the “Warrants”). The Notes, which mature in July 2019, are convertible into shares of the Company’s common stock at $0.35 cents per share. The Notes are secured by certain assets of the Company’s wholly owned subsidiary, CLR Roasters, LLC, personally guaranteed by the Company’s Chairman and CEO, Stephan Wallach, and bear interest at a rate of 8% per year. The Warrants are exercisable for five years after the closing date of the Purchase Agreement. For each $100,000 of principal amount of Notes, the holder received a warrant to purchase up to 257,143 shares of the Company’s common stock at $0.23 cents per share. As part of the use of proceeds, CLR Roasters will purchase K-Cup manufacturing equipment to capitalize on the growing single-serve K-Cup market. CLR Roasters has contracted with OPEM to deliver K-Cup manufacturing equipment that is capable of producing 200 K-Cups per minute. In May 2014, CLR Roasters acquired a coffee plantation and processing facility located in Matagalpa, Nicaragua – an ideal coffee growing region that is historically known for high quality coffee production. As a result of this financing, the Company plans to execute its option to acquire a second plantation under contract that would double the size of its land holdings in Nicaragua. Each plantation is roughly 450-acres and produces 100 percent Arabica coffee beans that are shade grown, Rainforest Alliance Certified™ and Fair Trade Certified™. The two plantations are located on adjacent plots of land and when coupled with the Company’s recently acquired dry-processing facility and existing U.S. based coffee roaster facilities allows CLR Roasters to control the coffee production process from field to cup. The financing will also allow management to fund various capital improvements at both plantations and the dry processing facilities. The Company has filed a Current Report on Form 8-K with the Securities and Exchange Commission describing in more detail the terms of the financing and viewers should read such Report in its entirety. The foregoing information should not be construed, and is not intended, as an offer to sell or the solicitation of an offer to buy any of the Company’s securities. CLR Roasters (www.clrroasters.com) was established in 2001 and is a wholly-owned a subsidiary of Youngevity International. CLR Roasters produces coffees under its own Cafe LaRica brand, as well as under a variety of private labels through major national sales outlets, hospitality, cruise lines, health and wellness facilities, office coffee service providers, and convenience store distribution. It also produces a unique line of coffees with health benefits under the JavaFit® brand. This release includes forward-looking statements on our current expectations and projections about future events. In some cases forward-looking statements can be identified by terminology such as “may,” “should,” “potential,” “continue,” “expects,” “anticipates,” “intends,” “plans,” “excited”, “believes,” “estimates,” and similar expressions. The forward-looking statements contained in this press release include statements regarding the Company’s intended use of proceeds, the annual revenue to be derived from the K-Cup production, the timing and size of the K-Cup production pre-bookings, the planned option exercise to acquire a second plantation and the continued accelerated growth of CLR Roasters and its recently launched green coffee sales division. These statements are based upon current beliefs, expectations and assumptions and are subject to a number of risks and uncertainties, many of which are difficult to predict, including our ability to produce the anticipated revenue from the K-Cup production, commence and continue the shipment of the orders from our new green coffee processing plant in Matagalpa, Nicaragua as scheduled and continue the growth of that division, and the other factors described in our annual report on Form 10-K for the year ended December 31, 2013 and our other filings with the SEC. The information in this release is provided only as of the date of this release, and we undertake no obligation to update any forward-looking statements contained in this release based on new information, future events, or otherwise, except as required by law. August 5, 2014 in Coffee, Dr. Joel Wallach, Investment News, Join Youngevity, Opportunity, Press Release.